Ο καρχαρίας και ο ψαράς που έγιναν φίλοι. Το Γαλλικό περιοδικό “Le magazine des voyages de pêche” στην 56η έκδοση του έφερε στο φως της δημοσιότητας μια απίστευτη ιστορία αγάπης. «Ο Arnold Pointer ένας επαγγελματίας ψαράς από την νότιο Αυστραλία απελευθέρωσε από σίγουρο θάνατο έναν μεγάλο θηλυκό λευκό καρχαρία που είχε παγιδευτεί στα δίχτια του. Έχει αναπτυχθεί μια αμοιβαία σχέση μεταξύ του ψαρά και του καρχαρία και όποτε σταματάει το σκάφος του τον πλησιάζει και γυρίζει έτσι ούτως ώστε να την χαϊδέψει στην κοιλιά και στον λαιμό και μετά κάνει τούμπες κουνάει τα πτερύγια και βουτάει ξανά στο νερό με έκδηλη χαρά. Ενα πρωταπριλιάτικο αστείο ήταν η αιτία του παραπάνω ανυπόστατου mail που κυκλοφόρησε πριν λίγο καιρό. Μεταφράστηκε ατυχώς , ως συνήθως από κάποιο αντίστοιχο ξένο spam letter & μας «σερβιρίστηκε ξαναζεσταμένο». 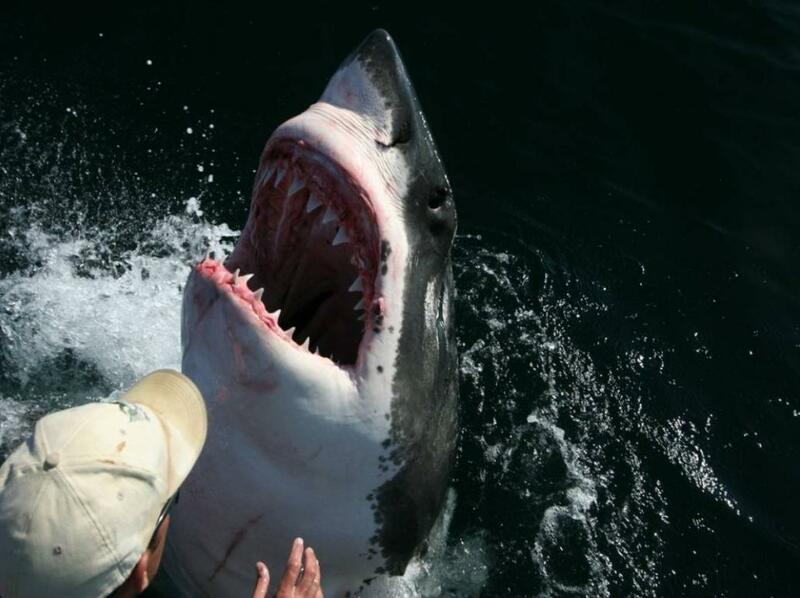 Slideshow presentation claims that a friendly and thankful Great White Shark constantly follows a fisherman who once saves its life and the two have formed a «mutual affection»(Full commentary below). 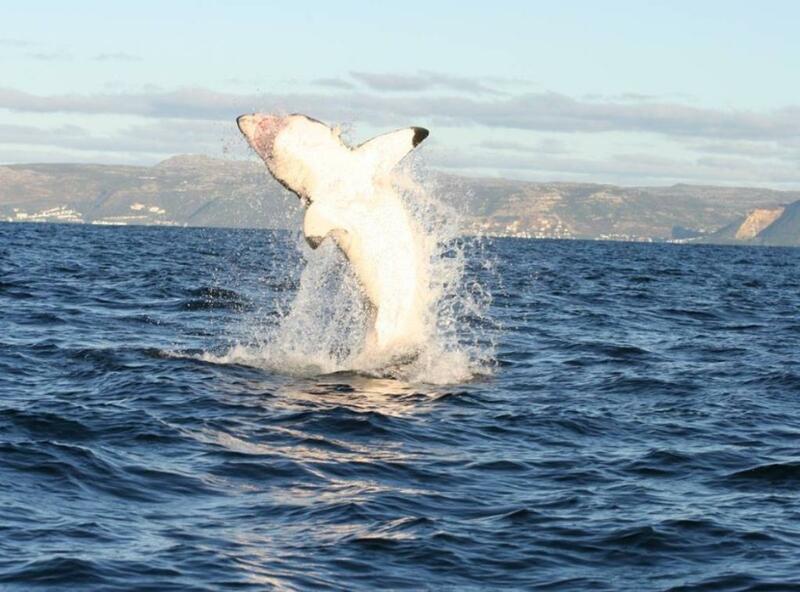 According to a slideshow presentation currently circulating via email and online, Arnold Pointer, an Australian fisherman, won the affection of a huge Great White Shark that he once saved from certain death. 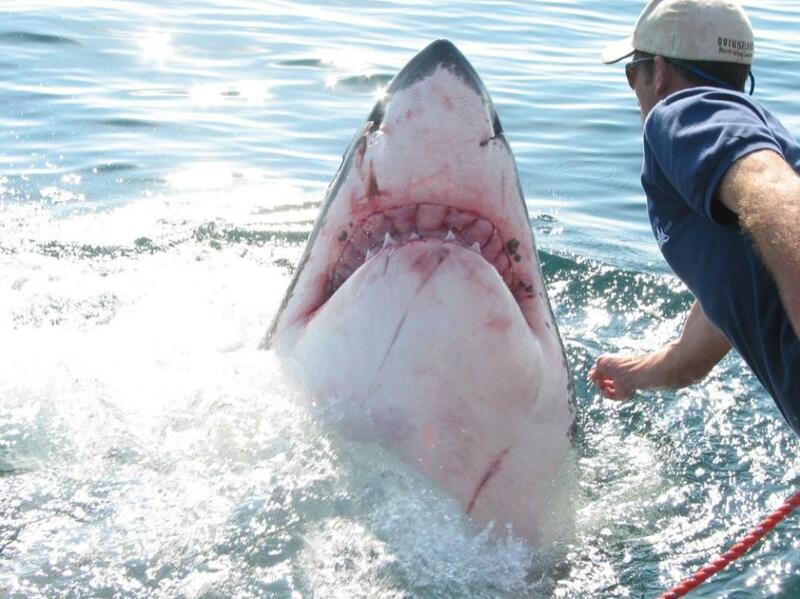 The slideshow claims that ever since the fisherman rescued the shark from his fishing nets, it has followed him around whenever possible and the two have formed a mutual affection. This absurd and fanciful tale would have us believe that the grateful fish, dubbed «Cindy», has formed a strong attachment to the man and even enjoys having her belly and neck rubbed. 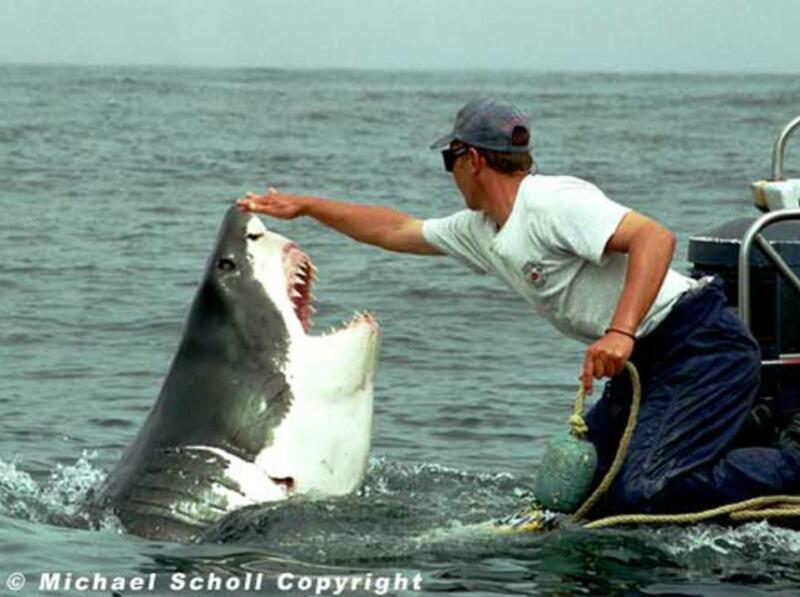 A number of compelling photographs, supposedly showing the interaction between the shark and the fisherman, are included in the presentation. However, the story is entirely untrue. I contacted «Le magazine des voyages de pêche», the French publication mentioned in the message, to enquire about the origin of the story. According to a spokesperson from the magazine, the «Shark Love Story» was published in the magazine two years ago as an April Fools joke. Apparently the joke story escaped the confines of the magazine and began circulating, first in French and later in the English version included here. In fact, all the photographs used in the presentation were taken by South African marine biologists and shark experts, Michael C. Scholl and Thomas P. Peschak and have nothing whatsoever to do with an affectionate shark and a kind Australian fisherman. The first photograph of a man in a kayak being followed by a shark was featured in the September 2005 issue of Africa Geographic. The kayaker photograph has become quite famous and began circulating in an entirely different context long before this slideshow made its appearance. 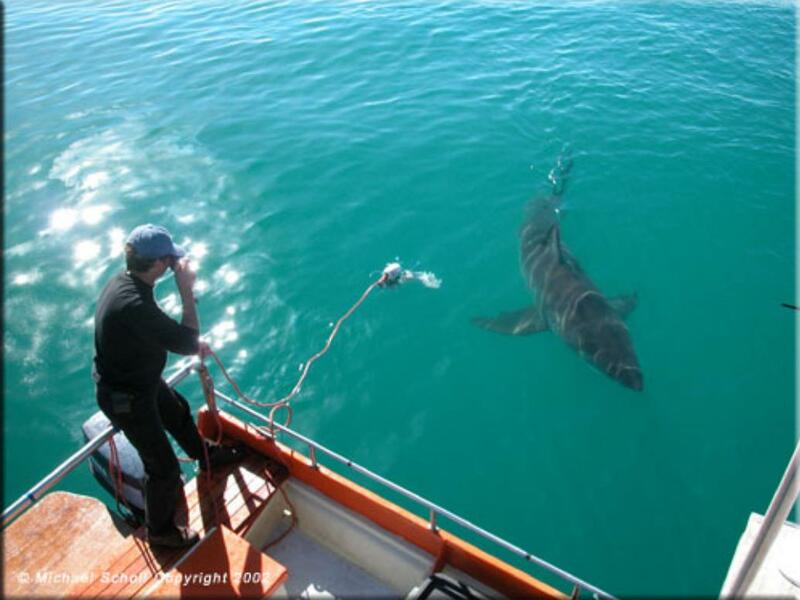 Other photographs in the slideshow are included on the White Shark Trust website and in other publications. Not all the featured photographs depict the same shark. 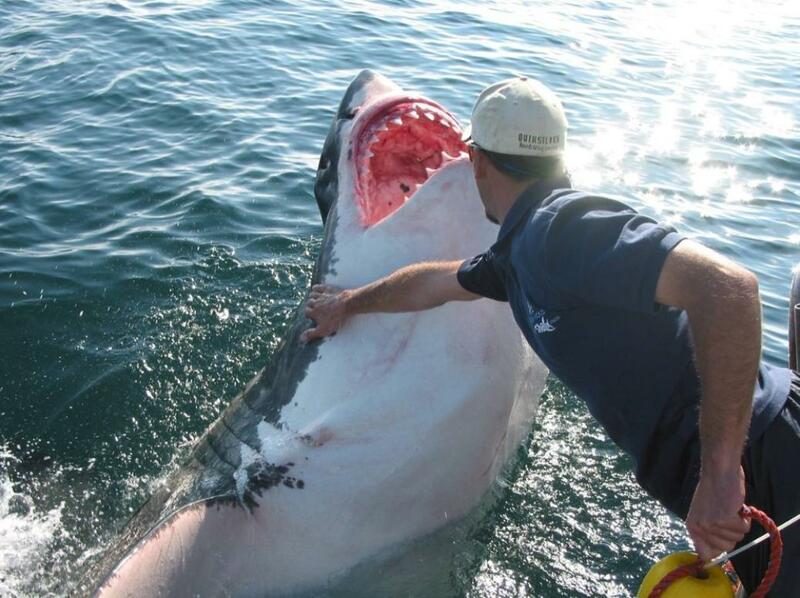 And, although the man does reach out and touch a shark in some of the photographs, this is simply a situational action and should not be misconstrued as some manner of mutual affection. While a man may feel a genuine affection and respect for the great finned ones, a shark is simply not biologically equipped to reciprocate such feelings.